Xiaoyan Wang, Masahiro Umehira, Peng Li, Yu Gu and Yusheng Ji, "Fine-grained Incentive Mechanism for Sensing Augmented Spectrum Database", Proc. of the IEEE Global Communications Conference (IEEE Globecom 2017), 4-8 December 2017, Singapore. 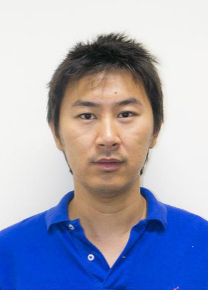 Xiaoyan Wang, Masahiro Umehira, Peng Li, Yu Gu and Yusheng Ji, "Incentivizing Crowdsourcing for Exclusion Zone Refinement in Spectrum Sharing System", Proc. of the Asia-Pacific Conference on Communications (APCC 2017), 11-13 December 2017, Perth, Australia.